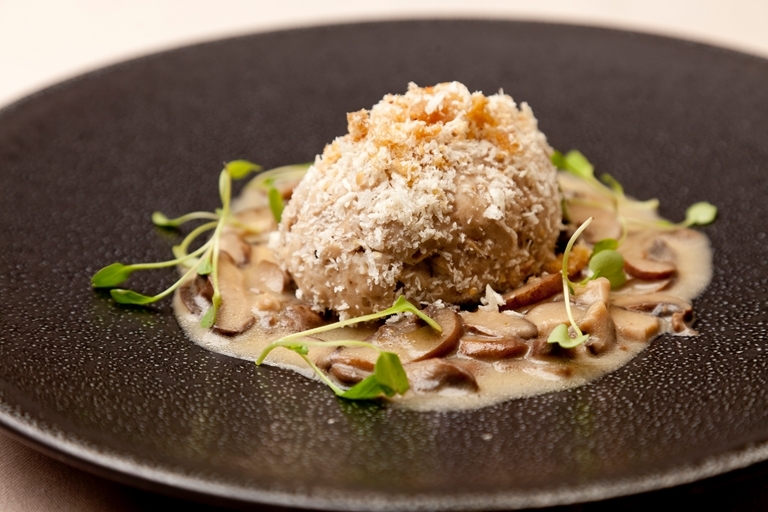 Pascal Aussignac's rich and comforting duck and mushroom recipe makes an impressive dinner party dish. It is not a pie in the traditional sense, but a delicious duck farce - almost like a creamy, baked sausage meat. Crispy duck crackling adds wonderful texture.